We’re the best source for real estate investors to find great discount and investment properties in and around Maryland. We’re constantly picking up new properties and working to keep our inventory full of discounted deals to market for purchase. Once you register you’ll be taken to our Abingdon investment properties page. You will be notified by email when new properties become available. Ever wondered who that company is that markets the best deals and offers the highest discounts on properties in Maryland and the surrounding areas? 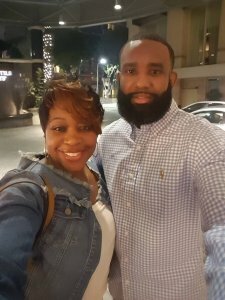 Since 2006, shortly after transitioning out of the US Army, both Andre & Trena have been operating under the mindset of helping investors and homeowners like you put cash in your pocket. With a strong focus on the ACW Property Investments company slogan, “Real Estate Success Through Helping Others,” both Andre & Trena have set out to ensure that they are passing along the areas best deals on great properties, creating a win-win situation. Jon has 18 years experience as a commercial and residential real estate professional. 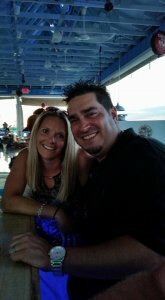 Jon’s introduction to the world of real estate and construction started in 1999 as a property manager and construction professional. He has held various real estate and construction positions throughout his career; last being a Construction Manager for a Pittsburgh-based commercial developer and construction company. Along with having an extensive construction background, he has also served a residential and commercial development company as an acquisitions and property manager for 7 years. Since joining ACW Property Investments, Jon has established himself as a trusted partner with his clients through a professional network and overall strong work ethic. Jon’s clients consist of construction and real estate development firms responsible for all project types. Jon attended Indiana University of Pennsylvania. In addition to his real estate career, Jon and his wife Beth have successfully owned and operated businesses in the health and fitness and restaurant industry. Dimitri has over 10 years experience as a Business Owner with a Degree in Business. Since joining ACW Property Investments, Dimitri has established himself as a trusted partner with his clients through a professional network and overall strong work ethic. Dimitri’s clients consist of a wide variety of real estate professional throughout Atlanta and the surrounding cities. In addition to his role as Acquisitions Manager, Dimitri and his wife Debbi successfully owned and operated a limousine business, which offered Atlanta’s residents and traveling guests the very best in Atlanta limo service rental. Marvin has 12 years experience in corporate America working for a major phone and internet provider. This experience has allowed him to develop a professional brand that offers a new perspective to ACW Property Investments. 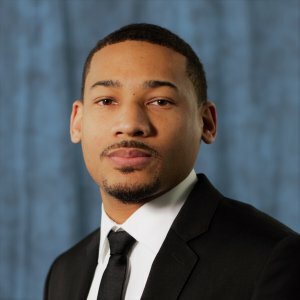 Marvin’s introduction to the world of real estate started when he decided to further his education through various real estate and real estate investment classes. 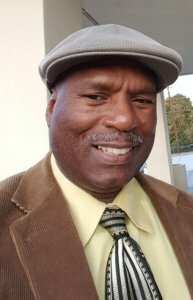 Since joining ACW Property Investment, Marvin has not only established himself as a trusted partner with his clients through a professional network and overall strong work ethic. He has also proven himself to be highly driven and dedicated to staying true to the companies’ motto “Real Estate Success Through Helping Others”. In addition to his role as Acquisitions Manager, Marvin and his wife Traci are both owners of a small home based business “Love Life More”, focusing on offering natural remedies that are beneficial to customer’s health and wellness. Our company has honed our marketing to a point where we’re exceptionally good at it. We find and acquire deeply discounted real estate then make those properties available to you at DEEPLY discounted prices from current market value. We’ve honed our proprietary marketing systems over the last few years and now have a consistent stream of deeply discounted raw land, foreclosure properties, distressed property, and other types of real estate. You may have even seen some of our marketing around Harford County Maryland. Most of the properties we sell are bought up by real estate investors. However, if you are looking for a property to develop and build on yourself… you’re at the right place! Join our Preferred Buyers list and act fast if you see a home you like. Because we offer these great houses at such steep discounts they do tend to sell fast… so make sure you’re pre-qualified with your bank (we can help you with that if you’d like) before you make an offer on one of our houses.